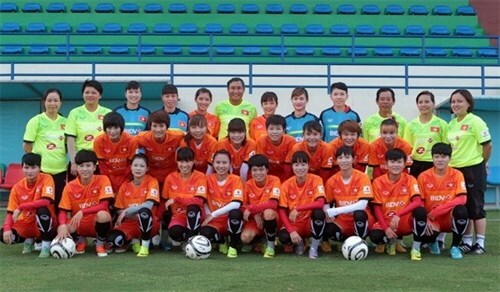 Hanoi (VNA) - The Vietnam national women’s football team will have three friendly matches with leading teams during their training session in the Czech Republic, according to the Vietnam Football Federation. The team, who were in Prague on July 5, will meet AC Sparta Prague on July 15, FC Viktoria Plzen on July 17 and face FC Dukla Prague two days later. AC Sparta Prague have won the national league more than 30 times. FC Viktoria Plzen have triumphed in the Czech First League four times, while Dukla Prague won the Czech First League in 2011 and ranked sixth in the 2014-2015 football season. The training session is to prepare for the AFF Women’s Football Championships in Mandalay, Myanmar from July 26 to August 4. Vietnam hopes to win this event’s title.